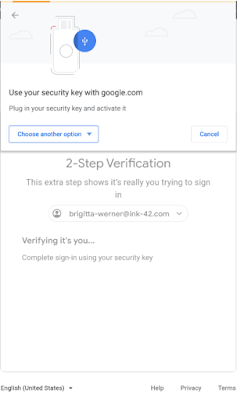 We hope that these updates make 2-Step Verification easier to use. 2-Step Verification puts an extra barrier between your business and cybercriminals who want to access business data. Turning on 2-Step Verification is the single most important thing you can do to make your accounts more secure and protect your business. Admins: Use our Help Center to find out how to set up 2-Step Verification for your organization. 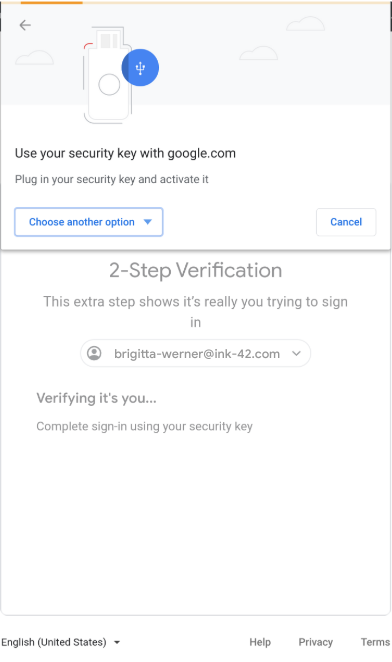 New 2-Step Verification interfaces: You may see new illustrations, text, and instructions in the images, dialogs in the 2-Step Verification flows when using a bluetooth or usb security key. See images below for examples of the types of changes. Different screens on different browsers: You may see different flows on Chrome, Safari, Firefox, Edge, and other browsers. 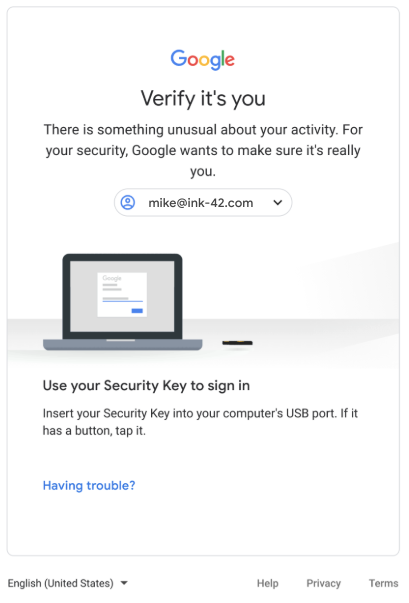 Previously the service provider (Google) was responsible for showing these dialogs. Now the web browser is responsible. As a result, the flow may be different on each browser. Expanded Bluetooth security key support: Bluetooth key support can now be enabled through a flag on each device. To enable this flag, users can go to chrome://flags/#enable-web-authentication-ble-support and select Enabled. Note that this is an experimental feature so performance is not guaranteed. Rapid Release domains: Gradual rollout (up to 14 days for feature visibility) starting on March 26, 2019. Scheduled Release domains: Gradual rollout (up to 14 days for feature visibility) starting on March 26, 2019. The updated user interface will be ON by default.